Staying in touch with friends and relatives is an important part of life, so it stands to reason that you need a telephone in your home. 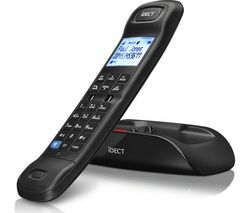 It can also work out cheaper to call from a landline than a mobile, especially when calling 0800 numbers. If you don’t live near all of your relatives, a weekly phone call will bridge the gap and give you something to look forward to. Our BT phones will keep you in the loop so you’ll always be up to date on all the important news. You’ll feel connected and secure if you have a telephone you can pick up and use whenever you want to. 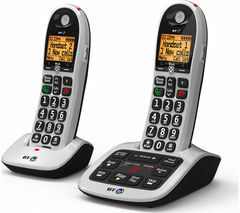 Telephones can be a lifeline, and our complete range has phones that come with a variety of features including speed dial and important number storage so you won’t have to remember lots of telephone numbers to stay in touch. When you need to catch up with your friends and family, simply pick up your telephone and dial away, you’ll always find something to talk about. Our range of Panasonic home phones are reliable and durable so they won’t let you down and will last for years to come. Whether you’re looking for an extra phone for the bedroom or you’ve recently had a landline installed, a telephone will help you stay in touch with your friends and family.